NETSIAN recognizes that the backbone of any physical technology infrastructure includes the components that comprise the network topology. 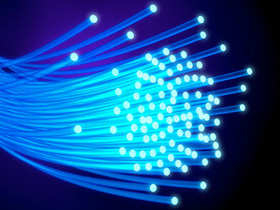 Whether wireless or wired, network components eventually require a physical copper (CAT) or glass (Fiber) infrastructure backbone for connectivity. NETSIAN Technologies Group helps you design and install a communications framework that provides maximum efficiency and flexibility. 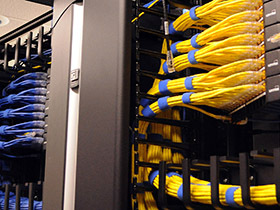 Turnkey network cabling for data, voice, video and structured cabling infrastructures. Fiber Optic design and installation to allow your business to take advantage of the ability transmit data faster, more efficiently and with minimal maintenance costs. 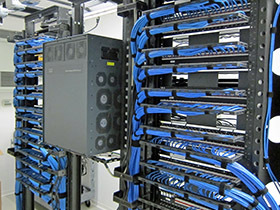 Our structured cabling team is comprised of highly trained manufacturer and Building Industry Consulting Services International (BICSI) certified project managers, field foreman and installers. The NETSIAN installation team is backed by a design department with BICSI and RCDD certification. We provide continuous training for all of our employees and client training programs as necessary. It is our commitment to provide you with the confidence of knowing each installation complies with the most current industry standards. NETSIAN Technologies Group is an integrator specializing in design build solutions and special systems deployment that incorporating "best practices" technology for reliable, low maintenance technology solutions. Please contact our Account Management team today to learn more about how our products and services.